Soprano who sang for a while under the name of Miss Zuchelli. She was the daughter of actor and singer John Isaacs (1791-1830), who trained her for the stage. She debuted on 17 Mar 1835 and by 1846 she sang the main opera parts at Drury Lane and often appeared in concerts. She produced several opera's at the Strand theatre in London between 1852 and 1855. She was the first Leila in "Satanella" at Covent Garden in 1858. Her husband Thomas Roberts was a dentist as well as acting manager of the Princess' Theatre. 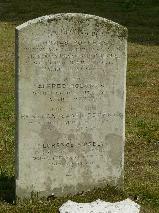 The grave of Rebecca Isaacs at Brookwood Cemetery, Woking.